A Tenants Deposit is something that a tenant relies upon as collateral when renting a property from a Landlord. A Tenants Deposit should be kept in a reputable government scheme to comply with the law which has been in existence since 2007 as it is held by the Landlord. Pinnacle Property Services have installed a Tenants deposit check facility on this page which will help all tenants check to ascertain, whether their deposit has been legally protected by their Landlord or Estate Agent in one of the approved schemes. Click on any of the scheme logo’s below and they will take you to the verification page to verify your deposit protection enquiry. If you notice that the Deposit is not registered there are many courses of action that can be taken. To register a Tenants Deposit the Landlord has usually 14 days from the date of collecting that deposit to register it. The court now states that it is not possible for Landlords to protect a deposit in order to evict a tenant. The Landlord should have the deposit protected at the start of the tenancy and not protect the tenancy because one wants to evict their tenant/s. It becomes much more complex to evict a Tenant when the Landlord has decided not to abide by laws set out by the deposit scheme rules. The Deposit Schemes which became law in England on April the 6th 2007 were brought in place to protect Tenants from Rogue Landlords and bad estate agents who were using excuses not to return deposits at the end of tenancies. There was no way to protect Tenants until these schemes became law and therefore Landlords and Agents now have to abide by these rules whilst offering any Assured Shorthold Tenancy. The best way to protect your deposit as a tenant is to make sure that the property is left in the same condition as when you took out the tenancy. 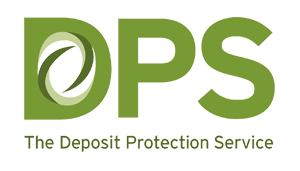 Your landlord is required by law to protect your deposit in a reputable scheme, there are a few schemes that can be used. 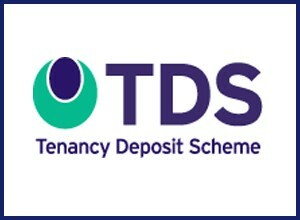 It is a requirement by law that a Tenants deposit is protected under a tenancy deposit scheme within 30 days of receiving it. It is also a requirement that the Tenant be provided with a certificate as proof that the deposit has been protected, this is known as the “Prescribed Information” within the same 30 day time scale. A certificate will be provided to you for this service and should be kept safe in case of a dispute at the end of your tenancy. If your landlord or Estate Agent decides to withhold your tenants deposits at the end of the tenancy for whatever reason and you disagree, you will be able to report this to the relevant scheme who will assist you and provide support in any dispute and they will appoint an adjudicator. The law in regards to expired deposit certificates is clear. If the Tenancy agreement has been renewed by the Landlord, then a new Tenants Deposit Certificate must me issued. Expired Tenants Deposit Certificates mean that it could be problematic in acquiring a Eviction Notice. An eviction notice can be challenged by a Tenant (defendant) on the grounds that a Tenants Deposit Certificate has expired.